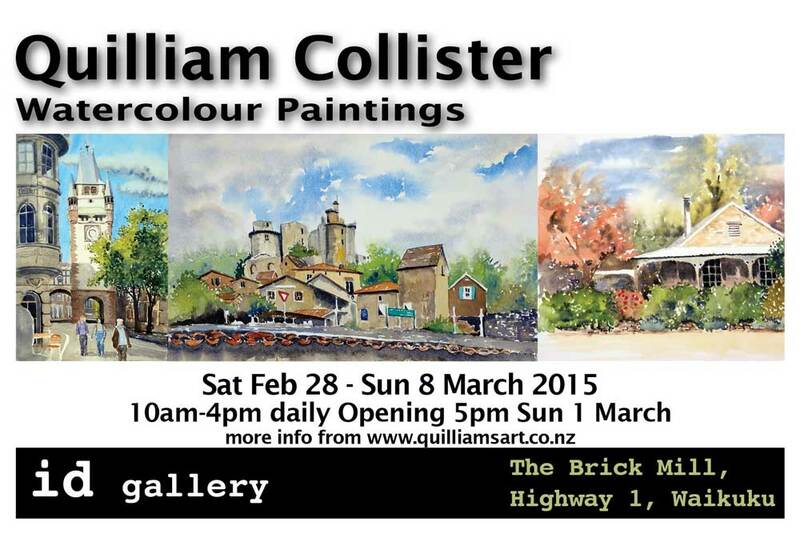 I will be exhibiting twenty or so of my recent paintings at the Brick Mill on State Highway 1 in Waikuku where I last exhibited two years ago. The exhibition runs from Saturday 28 February to Sunday 8 March with the gallery open from 10am to 4pm. It is my intention to man the exhibition each day with the probable exception of Monday 2 March. If you wish to attend the opening on Sunday 1 March at 5pm you will be very welcome, but please email me at quilliam@quilliamsart.co.nz so I can confirm catering needs. The Brick Mill is a great place to visit if you have an hour or so to spare with a cafe, which does great lunches, coffee and cabinet food, an antique shop “Twine” and an interesting junk shop. It is my intention to work on a few paintings while I am at the show so if you’d be interested to see me working or maybe pick up a cheap, unframed, work just come along. Ruby Whitty (a friend and fellow artist) and I exhibited around 20 works each at this Culverden gallery which is located next to the Red Post Cafe and behind the Chocolate shop. The exhibition was very well received and a number of paintings were sold. Both Ruby and I were very happy with the results. This exhibition in which I participated jointly with Woodend artist Joan Scarlet was held in Rangiora library’s Chamber Gallery entitled “About Waimakariri“. 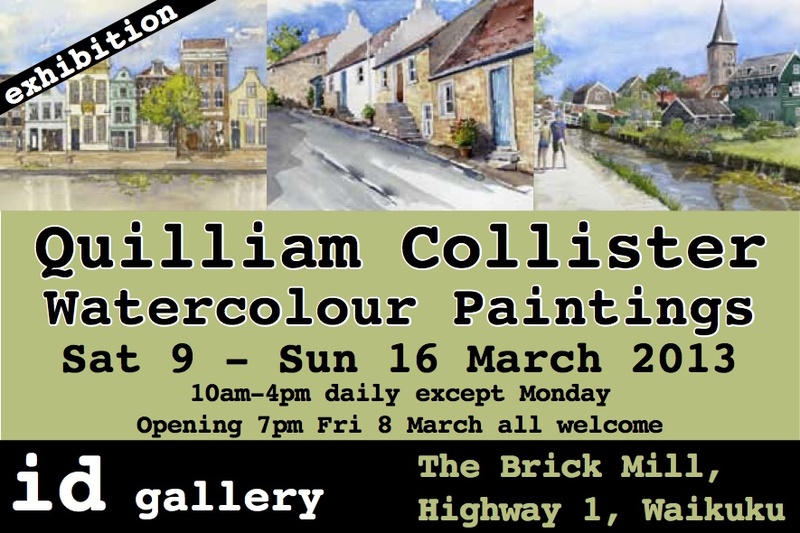 In this exhibition Quilliam and Joan presented water colours, and pen and wash works relating to the local area. While we have created images which appeal to us we have focused on the Waimakariri district, it’s scenes, it’s life it’s buildings and the interests of it’s people. We have interpreted these images in our own styles and, in doing so, have tried to depict the atmosphere of the scenes rather than faithfully reproduce them.